The most controversial call of this year’s Super Bowl had nothing to do with football. 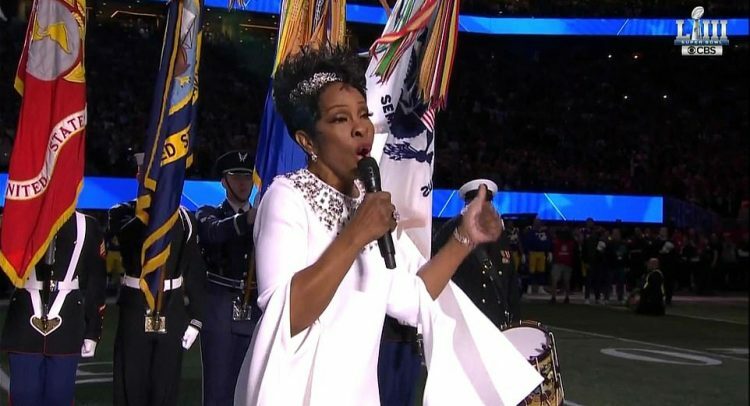 Americans wagered an estimated $6 billion on the big game between the New England Patriots and the Los Angeles Rams — including an especially popular “prop bet” or “proposition bet” on how long it would take Gladys Knight to sing the national anthem. But it’s unclear if the Empress of Soul’s performance on Sunday ended after the first “brave” or second “brave” she belted out. It sounded like Knight finished singing “brave” at around 1:49, before repeating “the brave” again — drawing out the length of the song to just over two minutes. Most sports betting outfits set the over/under line at 1:50, meaning if the tune officially ended after the first “brave,” then under would have been paid out, but if it ended when she stopped singing, over would have been the winner. There was so much dispute around how long the song officially ended that sportsbook BetOnline.ag paid out bettors on both sides of the line, Sbnation.com reported. Other sportsbooks had made clear in advance that they would stop the clock at the end of the first “brave,” leaving no room for debate. Gambling Guru RJ Bell advised bettors to pay close attention to the fine print on non-standard prop bets. “MAKE SURE YOU UNDERSTAND YOUR BOOK’S TERMS on all non-standard props!” he tweeted ahead of the Super Bowl performance. Bell also leaked apparent inside information on how long he expected the anthem would last — making it known to the public that a cameraman who had heard rehearsals said they clocked in at 1:59 and 2:00.